Much like publishers, employees at the big tech monopolies can end up little more than grist. Products & product categories come & go, but even if you build "the one" you still may lose everything in the process. Imagine building the most successful consumer product of all time only to realize:'The iPhone is the reason I'm divorced,' Andy Grignon, a senior iPhone engineer, tells me. I heard that sentiment more than once throughout my dozens of interviews with the iPhone's key architects and engineers. 'Yeah, the iPhone ruined more than a few marriages,' says another. Microsoft is laying off thousands of salespeople. Google colluded with competitors to sign anti-employee agreements & now they are trying to hold down labor costs with modular housing built on leased government property. They can tout innovation they bring to Africa, but at their core the tech monopolies are still largely abusive. What's telling is that these companies keep using their monopoly profits to buy more real estate near their corporate headquarters, keeping jobs there in spite of the extreme local living costs. Making $180,000 a year can price one out of the local real estate market, requiring living in a van or a two hour commute. An $81,000 salary can require a 3 hour commute. If you are priced out of the market by the monopoly de jour, you can always pray! The hype surrounding transformative technology that disintermediates geography & other legacy restraints only lasts so long: "The narrative isn't the product of any single malfunction, but rather the result of overhyped marketing, deficiencies in operating with deep learning and GPUs and intensive data preparation demands." AI is often a man standing behind a curtain. The big tech companies are all about equality, opportunity & innovation. At some point either the jobs move to China or China-like conditions have to move to the job. No benefits, insurance cost passed onto the temp worker, etc. That's rather unfortunate, as the people who watch the beheading videos will likely need PTSD treatment. America really is undergoing a radical change in the structure of our political economy. And yet this revolutionary shift of power, control, and wealth has remained all but unrecognized and unstudied ... Since the 1990s, large companies have increasingly relied on temporary help to do work that formerly was performed by permanent salaried employees. These arrangements enable firms to hire and fire workers with far greater flexibility and free them from having to provide traditional benefits like unemployment insurance, health insurance, retirement plans, and paid vacations. The workers themselves go by many different names: temps, contingent workers, contractors, freelancers. But while some fit the traditional sense of what it means to be an entrepreneur or independent business owner, many, if not most, do not-precisely because they remain entirely dependent on a single power for their employment. Dedication & devotion are important traits. Are you willing to do everything you can to go the last mile? "Lyft published a blog post praising a driver who kept picking up fares even after she went into labor and was driving to the hospital to give birth." About 1.8 million workers were out of the labor force for "other" reasons at the beginning of this year, meaning they were not retired, in school, disabled or taking care of a loved one, according to Atlanta Federal Reserve data. Of those people, nearly half -- roughly 881,000 workers -- said in a survey that they had taken an opioid the day before, according to a study published last year by former White House economist Alan Krueger." Creating fake cancer patients is a practical way to make sales. That is until they stop some of the scams & view those people as no longer worth the economic cost. Those people are only dying off at a rate of about 90 people a day. Long commutes are associated with depression. And enough people are taking anti-depressants that it shows up elsewhere in the food chain. After a few years of buildup, Obamacare kicked the scams into high gear. .... With exchange plans largely locked into paying for medically required tests, patients (and their urine) became gold mines. Some labs started offering kickbacks to treatment centers, who in turn began splitting the profits with halfway houses that would tempt clients with free rent and other services. ... Street-level patient brokers and phone room lead generators stepped up to fill the beds with strategies across the ethical spectrum, including signing addicts up for Obamacare and paying their premiums. Google made a lot of money from that scam until it got negative PR coverage. At the company, we're family. Once you are done washing the dishes, you can live in the garage. Just make sure you juice! When platform monopolies dictate the roll-out of technology, there is less and less innovation, fewer places to invest, less to invent. Eventually, the rhetoric of innovation turns into DISRUPT, a quickly canceled show on MSNBC, and Juicero, a Google-backed punchline. This moment of stagnating innovation and productivity is happening because Silicon Valley has turned its back on its most important political friend: antitrust. Instead, it's embraced what it should understand as the enemy of innovation: monopoly. And the snowflake narrative not only relies on the "off the books" marginalized freelance employees to maintain lush benefits for the core employees, but those core employees can easily end up thrown under the bus because accusation is guilt. Uniformity of political ideology is the zenith of a just world. Celebrate diversity in all aspects of life - except thoughtTM. Free speech is now considered violence. Free speech has real cost. So if you disagree with someone, "people you might have to work with may simply punch you in the face" - former Google diversity expert Yonatan Zunger. Mob rule - with a splash of violence - for the win. Social justice is the antithesis of justice. It is the aspie guy getting fired for not understanding the full gender "spectrum." It is the repression of truth: "Truth equals virtue equals happiness. You cannot solve serious social problems by telling lies or punishing people who tell truth." The recursive feedback loops & reactionary filtering are so bad that some sites promoting socialism are now being dragged to the Google gulag. In a set of guidelines issued to Google evaluators in March, elaborated in April by Google VP of Engineering Ben Gomes, the company instructed its search evaluators to flag pages returning'conspiracy theories' or'upsetting' content unless'the query clearly indicates the user is seeking an alternative viewpoint.' The changes to the search rankings of WSWS content are consistent with such a mechanism. Users of Google will be able to find the WSWS if they specifically include'World Socialist Web Site' in their search request. But if their inquiry simply includes term such as'Trotsky,''Trotskyism,''Marxism,''socialism' or'inequality,' they will not find the site. Every website which has a following & challenges power is considered "fake news" or "conspiracy theory" until many years later, when many of the prior "nutjob conspiracies" turn out to be accurate representations of reality. Under its new so-called anti-fake-news program, Google algorithms have in the past few months moved socialist, anti-war, and progressive websites from previously prominent positions in Google searches to positions up to 50 search result pages from the first page, essentially removing them from the search results any searcher will see. Counterpunch, World Socialsit Website, Democracy Now, American Civil liberties Union, Wikileaks are just a few of the websites which have experienced severe reductions in their returns from Google searches. In the meantime townhall meetings celebrating diversity will be canceled & differentiated voices will be marginalized to protect the mob from themselves. What does the above say about tech monopolies wanting to alter the structure of society when their internal ideals are based on fundamental lies? They can't hold an internal meeting addressing sacred cows because "ultimately the loudest voices on the fringes drive the perception and reaction" but why not let them distribute swarms of animals with bacteria & see what happens? Let's make Earth a beta. Monopoly platforms are only growing more dominant by the day. Over the past three decades, the U.S. government has permitted corporate giants to take over an ever-increasing share of the economy. Monopoly-the ultimate enemy of free-market competition-now pervades every corner of American life ... Economic power, in fact, is more concentrated than ever: According to a study published earlier this year, half of all publicly traded companies have disappeared over the past four decades. And you don't have to subscribe to deep state conspiracy theory in order to see the impacts. It is no coincidence that from 2012 to 2016, Amazon, Google and Facebook's revenues increased by $137 billion and the remaining Fortune 497 revenues contracted by $97 billion. Netflix, Amazon, Apple, Google, Facebook ... are all aggressively investing in video content as bandwidth is getting cheaper & they need differentiated content to drive subscription revenues. If the big players are bidding competitively to have differentiated video content that puts a bid under some premium content, but for ad-supported content the relatively high CPMs on video content might fall sharply in the years to come. From a partner perspective, if you only get a percent of revenue that transfers all the risk onto you, how is the new Facebook video feature going to be any better than being a YouTube partner? As video becomes more widespread, won't that lower CPMs? One publisher said its Facebook-monetized videos had an average CPM of 15 cents. A second publisher, which calculated ad rates based on video views that lasted long enough to reach the ad break, said the average CPM for its mid-rolls is 75 cents. A third publisher made roughly $500 from more than 20 million total video views on that page in September. as a result of this increased market power, the big superstar companies have been raising their prices and cutting their wages. This has lifted profits and boosted the stock market, but it has also held down real wages, diverted more of the nation's income to business owners, and increased inequality. It has also held back productivity, since raising prices restricts economic output. If in five years I'm just watching NFL-endorsed ESPN clips through a syndication deal with a messaging app, and Vice is just an age-skewed Viacom with better audience data, and I'm looking up the same trivia on Genius instead of Wikipedia, and'publications' are just content agencies that solve temporary optimization issues for much larger platforms, what will have been point of the last twenty years of creating things for the web? We've been in the celebration phase all year as Microsoft, Google, Amazon, Apple, Netflix and Facebook take their place in the pantheon of classic American monopolists. These firms and a few others, it is now widely acknowledged, dominate everything. There is no day-part in which they do not dominate the battle for consumers' attention. There is no business safe from their ambitions. There are no industries in which their influence and encroachment are not currently being felt. The web shifts information-based value chains to universal distribution at zero marginal cost, which shifts most of the value extraction to the attention merchants. Those resting in the shadows of the giants will keep getting crushed: "They let big tech crawl, parse, and resell their IP, catalyzing an extraordinary transfer in wealth from the creators to the platforms." It's why there's a management shake up at Pandora, Soundcloud laid off 40% of their staff & Vimeo canceled their subscription service before it was even launched. Practically speaking, bypassing DRM isn't hard (Google's version of DRM was broken for six years before anyone noticed), but that doesn't matter. Even low-quality DRM gets the copyright owner the extremely profitable right to stop their customers and competitors from using their products except in the ways that the rightsholder specifies. ... for a browser to support EME, it must also license a "Content Decryption Module" (CDM). Without a CDM, video just doesn't work. All the big incumbents advocating for DRM have licenses for CDMs, but new entrants to the market will struggle to get these CDMs, and in order to get them, they have to make promises to restrict otherwise legal activities ... We're dismayed to see the W3C literally overrule the concerns of its public interest members, security experts, accessibility members and innovative startup members, putting the institution's thumb on the scales for the large incumbents that dominate the web, ensuring that dominance lasts forever. More significantly, the GDPR extends the concept of'personal data' to bring it into line with the online world. The regulation stipulates, for example, that an online identifier, such as a device's IP address, can now be personal data. So next year, a wide range of identifiers that had hitherto lain outside the law will be regarded as personal data, reflecting changes in technology and the way organisations collect information about people. ... Facebook and Google should be OK, because they claim to have the'consent' of their users. But the data-broking crowd do not have that consent. GDRP is less than 8 months away. Oath's video unit, however, had begun doubling down on the type of highly shareable,'snackable' bites that people gobble up on their smartphones and Facebook feeds. ... . What frustrates her like nothing else, two people close to Couric told me, is when she encounters fans and they ask her what she's up to these days. When content is atomized into the smallest bits & recycling is encouraged only the central network operators without editorial content costs win. Even Reddit is pushing crappy autoplay videos for the sake of ads. There's no chance of it working for them, but they'll still try, as Google & Facebook have enviable market caps. Video ads are good with everything! Want to find a job? Watch some autoplay video ads on LinkedIn. Mic laid off journalists and is pivoting to video. It doesn't work, but why not try. The TV networks which focused on the sort of junk short-form video content that is failing online are also seeing low ratings. Some of the "innovative" upstart web publishers are recycling TV ads as video content to run pre-roll ads on. An ad inside an ad. Some suggest the repackaging and reposting of ads highlights the'pivot to video' mentality many publishers now demonstrate. The push to churn out video content to feed platforms and to attract potentially lucrative video advertising is increasingly viewed as a potential solution to an increasingly challenging business model problem. Publishers might also get paid a commission on any sales they help drive by including affiliate links alongside the videos. If these links drive users to purchase the products, then the publisher gets a cut. Is there any chance recycling low quality infomercial styled ads as placeholder auto-play video content to run prerolls on is a sustainable business practice? If that counts as strategic thinking in online publishing, count me as a short. It only takes a single yes on any of those billions of ad impressions (or an accidental opt in on the negative option bundling with security updates) for the default web browser to change permanently. There's no way Mozilla can compete with Google on economics trying to buy back an audience. Mozilla is willing to buy influence, too - particularly in mobile, where it's so weak. One option is paying partners to distribute Firefox on their phones. 'We're going to have to put money toward it,' Dixon says, but she expects it'll pay off when Mozilla can share revenue from the resulting search traffic. They have no chance of winning when they focus on wedge issues like fake news. Much like their mobile operating system, it is a distraction. And the core economics of paying for distribution won't work either. How can Mozilla get a slice of an advertiser's ad budget through Yahoo through Bing & compete against Google's bid? Google is willing to enter uneconomic deals to keep their monopoly power. Look no further than the $1 billion investment they made in AOL which they quickly wrote down by $726 million. Google pays Apple $3 billion PER YEAR to be the default search provider in Safari. Verizon acquired Yahoo! for $4.48 billion. There's no chance of Yahoo! outbidding Google for default Safari search placement & if Apple liked the idea they would have bought Yahoo!. It is hard to want to take a big risk & spend billions on something that might not back out when you get paid billions to not take any risk. Even Microsoft would be taking a big risk in making a competitive bid for the Apple search placement. Microsoft recently disclosed "Search advertising revenue increased $124 million or 8%." If $124 million is 8% then their quarterly search ad revenue is $1.674 billion. To outbid Google they would have to bid over half their total search revenues. The monopoly platforms have remained unscathed by government regulatory efforts in the U.S. Google got so good at lobbying they made Goldman Sachs look like amateurs. It never hurts to place your lawyers in the body that (should) regulate you: "Wright left the FTC in August 2015, returning to George Mason. Just five months later, he had a new position as'of counsel' at Wilson Sonsini, Google's primary outside law firm." Some researchers share their papers before publication and let Google give suggestions, according to thousands of pages of emails obtained by the Journal in public-records requests of more than a dozen university professors. The professors don't always reveal Google's backing in their research, and few disclosed the financial ties in subsequent articles on the same or similar topics, the Journal found. ... Google officials in Washington compiled wish lists of academic papers that included working titles, abstracts and budgets for each proposed paper-then they searched for willing authors, according to a former employee and a former Google lobbyist. ... Mr. Sokol, though, had extensive financial ties to Google, according to his emails obtained by the Journal. He was a part-time attorney at the Silicon Valley law firm of Wilson Sonsini Goodrich & Rosati, which has Google as a client. The 2016 paper's co-author was also a partner at the law firm, which didn't respond to requests for comment. in recent years, Google has become greedy about owning not just search capacities, video and maps, but also the shape of public discourse. As the Wall Street Journal recently reported, Google has recruited and cultivated law professors who support its views. And as the New York Times recently reported, it has become invested in building curriculum for our public schools, and has created political strategy to get schools to adopt its products. This year, Google is on track to spend more money than any company in America on lobbying. Google's director of policy communications, Bob Boorstin, emailed the Rose Foundation (a major funder of Consumer Watchdog) complaining about Consumer Watchdog and asking the charity to consider "whether there might be better groups in which to place your trust and resources." They can also, you know, blackball your media organization or outright penalize you. The more aggressive you are with monetization the more leverage they have to arbitrarily hit you if you don't play ball. Six years ago, I was pressured to unpublish a critical piece about Google's monopolistic practices after the company got upset about it. In my case, the post stayed unpublished. I was working for Forbes at the time, and was new to my job. As more and more of the economy become sown up by monopolistic corporations, there are fewer and fewer opportunities for entrepreneurship. ... By design, the private business corporation is geared to pursue its own interests. It's our job as citizens to structure a political economy that keeps corporations small enough to ensure that their actions never threaten the people's sovereignty over our nation. How much control can one entity get before it becomes excessive? Google controls upwards of 80 percent of global search-and the capital to either acquire or crush any newcomers. They are bringing us a hardly gilded age of prosperity but depressed competition, economic stagnation, and, increasingly, a chilling desire to control the national conversation. The switch is partly related to Google's transformation from a listed public company into a business owned by a holding company.Â The change helps keep potential challenges in one business from spreading to another, according to Dana Hobart, a litigator with the Buchalter law firm in Los Angeles. Isn't that an admission they should be broken up? Early Xoogler Doug Edwards wrote: "[Larry Page] wondered how Google could become like a better version of the RIAA - not just a mediator of digital music licensing - but a marketplace for fair distribution of all forms of digitized content." In an explosive new allegation, a renowned architect has accused Google of racketeering, saying in a lawsuit the company has a pattern of stealing trade secrets from people it first invites to collaborate. ...'It's cheaper to steal than to develop your own technology,' Buether said. 'You can take it from somebody else and you have a virtually unlimited budget to fight these things in court.' ...'It's even worse than just using the proprietary information - they actually then claim ownership through patent applications,' Buether said. Google's efforts to monopolize civil society in support of the company's balance-sheet-driven agenda is as dangerous as it is wrong. For years, we have watched as Google used its monopoly powers to hurt artists and music creators while profiting off stolen content. For years, we have warned about Google's actions that stifle the views of anyone who disagrees with its business practices, while claiming to champion free speech. In a world where monopolies are built with mission statements like 'to organize the world's information and make it universally accessible and useful' it makes sense to seal court documents, bury regulatory findings, or else the slogan doesn't fit as the consumer harm was obvious. "The 160-page critique, which was supposed to remain private but was inadvertently disclosed in an open-records request, concluded that Google's 'conduct has resulted - and will result - in real harm to consumers.' " But Google was never penalized, because the political appointees overrode the staff recommendation, an action rarely taken by the FTC. The Journal pointed out that Google, whose executives donated more money to the Obama campaign than any company, had held scores of meetings at the White House between the time the staff filed its report and the ultimate decision to drop the enforcement action. 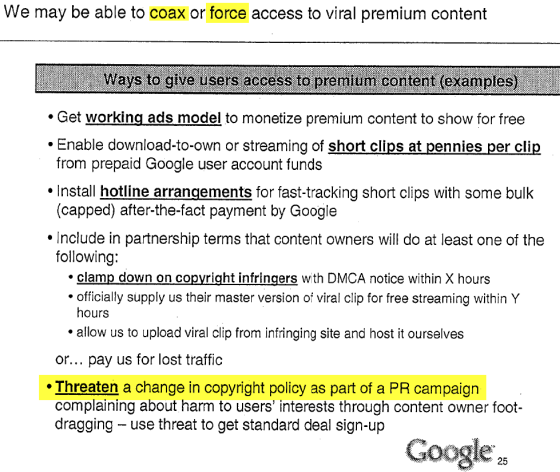 June 2006: Foundem's Google search penalty begins. Foundem starts an arduous campaign to have the penalty lifted. September 2007: Foundem is'whitelisted' for AdWords (i.e. Google manually grants Foundem immunity from its AdWords penalty). For many years Google has "manipulated search results to favor its own comparison-shopping service. ... Google both demotes competitors' offerings in search rankings and artificially inserts its own service in a box above all other search results, regardless of their relevance." After losing for over a decade, on the 27th of June a win was finally delivered when the European Commission issued a manual action to negate the spam, when they fined Google â‚¬2.42 billion for abusing dominance as search engine by giving illegal advantage to own comparison shopping service. That fine looks to be the first of multiple record-breaking fines as "Sources expect the Android fine to be substantially higher than the shopping penalty." Quoting internal Google documents and emails, the report shows that the company created a list of rival comparison shopping sites that it would artificially lower in the general search results, even though tests showed that Google users'liked the quality of the [rival] sites' and gave negative feedback on the proposed changes. Google reworked its search algorithm at least four times, the documents show, and altered its established rating criteria before the proposed changes received'slightly positive' user feedback. ... Google's displayed prices for everyday products, such as watches, anti-wrinkle cream and wireless routers, were roughly 50 percent higher - sometimes more - than those on rival sites. A subsequent study by a consumer protection group found similar results. A study by the Financial Times also documented the higher prices. Nonetheless, Google is appealing it. The ease with which Google quickly crafted a response was telling. The competitors who were slaughtered by monopolistic bundling won't recover'The damage has been done. The industry is on its knees, and this is not going to put it back,' said Mr. Stables, who has decided to participate in Google's new auctions despite misgivings. 'I'm sort of shocked that they've come out with this,' he added. Google claims they'll be running their EU shopping ads as a separate company with positive profit margins & that advertisers won't be bidding against themselves if they are on multiple platforms. Anyone who believes that stuff hasn't dropped a few thousand dollars on a Flash-only website after AdWords turned on Enhanced campaigns against their wishes - charging the advertisers dollars per click to send users to a blank page which would not load. Hell may freeze over, causing the FTC to look into Google's Android bundling similarly to how Microsoft's OS bundling was looked at. If hell doesn't freeze over, it is likely because Google further ramped up their lobbying efforts, donating to political organizations they claim to be ideologically opposed to. As a global corporation above & beyond borders, Google has long been against nationalism. Eric Schmidt's Hillary Clinton once wrote: "My dream is a hemispheric common market, with open trade and open borders, some time in the future with energy that is as green and sustainable as we can get it, powering growth and opportunity for every person in the hemisphere." We are writing to express our deep concerns about the European Union's aggressive and heavy-handed antitrust enforcement action against American companies. It has become increasingly clear that, rather than being grounded in a transparent legal framework, these various investigations and complaints are being driven by politics and protectionist policies that harm open-competition practices, consumers, and unfairly target American companies,. The above nonsense was in spite of Yelp carrying a heavy load. Yelp celebrated the victory: "Google has been found guilty of engaging in illegal conduct with the aim of promoting its vertical search services. Although the decision addresses comparison shopping services, the European Commission has also recognized that the same illegal behavior applies to other verticals, including local search." The EU is also looking for an expert to monitor Google's algorithm. It certainly isn't hard to find areas where the home team wins. These reporters aren't ideologues. They're just right-thinking people who lean left. Somewhere along the line, they stopped pretending to be objective about Trump. ... People don't just disagree with each other. They can't imagine how a decent caring human being could disagree with their own view of race or the minimum wage or immigration or Trump. Being a member of the virtuous tribe means not only carrying the correct card in your wallet to reassure yourself. You have to also believe that the people carrying any other card are irrational, or worse, evil. They're not people to engage in conversation with. They are barriers to be ignored or pushed aside on the virtuous path to paradise. This intolerance and inability to imagine the virtue of the other side is the road to tyranny and chaos. It dehumanizes a good chunk of humanity and that in turn justifies the worst atrocities human beings are capable of. The WSJ, typically a right-leaning publication, is differentiating their coverage of the president from most other outlets by attempting to be somewhat neutral. The news is fake. Even historically left-leaning people are disgusted with outlets like CNN. "A half hour of cable news delivers enough psychic trauma for a whole year. The newspapers are talking of nothing but treason, espionage, investigations, protests." ... "Stocks are rallying because of how little faith we have in the government. The Mega Blue Chip Corporation is the new Sovereign." In Europe publishers are aggressively leaning on regulators to try to rebalance power. Some of this stuff is cyclical. About a decade ago the European Commission went after Microsoft for bundling Internet Explorer. Google complained about the monopolistic practices to ensure Microsoft was fined. And we've went from that to a web where Google syndicates native ads that blend into page content while directly funding robot journalism. And then Google is ranking the robot-generated crap too. But to keep the ecosystem clean & spam free, Google is also planning to leverage their web browser to further dictate the terms of online publishing. Chrome will block autoplay audio & will automatically reroute .dev domains to https. Cutting edge developers suggest using a web browser other than Google Chrome to prevent proprietary lock in across the web. While Google distributes their Chrome browser as unwanted bundleware, other web browsers must display uninstall links front & center when trying to gain awareness of their product using Google AdWords. Microsoft Edge is coming to Android, but without a BrowserChoice.eu screen it is unlikely most users will change their web browser as most are unaware of what a web browser even is, let alone the limitations of any of them or the tracking embedded in them. If you are an anti-social work at home webmaster who has dual monitors it is easy to dismiss cell phones as inefficient and chalk most mobile usage up to the following. The reality is cell phones are more powerful than they seem if you are strictly consuming rather than working. And that is how the unstoppable quickly becomes the extinct! Many people the world over are addicted to their cell phones to where viral game makers are self-regulating before regulators step in: "From Tuesday, users below 12 years of age will be limited to one hour of play time each day, while those aged between 12 years and 18 years will be limited to two hours a day, Tencent said." While China is using their various tools to clamp down on Honour of Kings, Tencent is bringing the game to the west, which makes blocking VPN services (with Apple's help - they must play along or have the phones reduced to bricks) & requiring local data storage & technology transfer more important. Anything stored locally can be easily disappeared: "China's already formidable internet censors have demonstrated a new strength-the ability to delete images in one-on-one chats as they are being transmitted, making them disappear before receivers see them." China has banned live streaming, threatened their largest domestic social networks, shut down chat bots, require extensive multimedia review: "an industry association circulated new regulations that at least two "auditors" will, with immediate effect, be required to check all audiovisual content posted online" AND they force users to install spyware on their devices. In spite of all those restrictions, last year "Chinese consumers spent $5.5 trillion through mobile payment platforms, about 50 times more than their American counterparts." In the last quarter Baidu had Â¥20.87 billion in revenues, with 72% of their revenues driven by mobile. People can not miss that which they've never seen, thus platform socialism works. Those who doubt it will be tracked & scored accordingly. History, as well, can be scrubbed. And insurance companies watch everything in real-time - careful what you post. The watchful eye of the Chinese pre-crime team is also looking over every move. Last quarter Facebook had revenues of $9.164 billion, with 87% coming from mobile devices. "We didn't have a choice to know any life without iPads or iPhones. I think we like our phones more than we like actual people." ... "Rates of teen depression and suicide have skyrocketed since 2011. It's not an exaggeration to describe iGen as being on the brink of the worst mental-health crisis in decades. Much of this deterioration can be traced to their phones." ... "Teens who spend more time than average on screen activities are more likely to be unhappy, and those who spend more time than average on nonscreen activities are more likely to be happy." "Social isolation, loneliness or living alone was each a significant factor contributing to premature death. And each one of these factors was a more significant risk factor for dying than obesity. ... No one knows precisely why loneliness is surging, threatening the lives of many millions of people, but it does seem that the burgeoning use of technology may have something to do with it. Personally, I would contend that technology may be the chief factor fueling it." App Annie expects the global app economy to be worth $6.3 trillion by 2021. The reason those numbers can easily sound fake & mobile can seem overblown is how highly concentrated usage has become: "over 80 percent of consumer time on mobile devices is now spent on the apps, websites and properties" of just five companies: Facebook, Google, Apple, Yelp and Bing. eMarketer stated Google will have more mobile ad revenue than desktop ad revenue in the US this year. They also predicted Google & Facebook will consume over 2/3 of US online ad spend within 2 years. The central network operators not only maintain an outsized share of revenues, but also maintain an outsized share of profits. When the home team gets a 30% rake of any sale it is hard for anyone else to compete. Even after buying and gutting Motorola Google bought part of HTC for $1.1 billion. The game plan has never changed: commoditize the compliment to ensure user data & most of the profits flow to Google. Put up arbitrary roadblocks for competing services while launching free parallel offerings to drive lock-in. it's intended to create a bizarre sense of panic among marketers - "OMG, we have to be present at every possible instant someone might be looking at their phone!" - which doesn't help them think strategically or make the best use of their marketing or ad spend. The reality is that if you don't have a relationship with a person on their desktop computer they probably don't want your mobile app either. If you have the relationship then mobile only increases profits. Many people attempting to build "the next mobile" will go bust, but wherever the attention flows the ads will follow. Those with a broad & dominant tech platform can copy features from single-category devices and keep integrating them into their core products to increase user lock-in. And they can build accessories for those core devices while prohibiting the flow of data to third party devices to keep users locked into their ecosystem. People often multi-task while using mobile devices. This year, in-app mobile ad spend will reach $45.3 billion, up $11 billion from last year, according to eMarketer. And apps are where the money is at for mobile advertising, comprising 80 percent of all U.S. media dollars spent on mobile. "while our phones offer convenience and diversion, they also breed anxiety. Their extraordinary usefulness gives them an unprecedented hold on our attention and vast influence over our thinking and behavior. ... Not only do our phones shape our thoughts in deep and complicated ways, but the effects persist even when we aren't using the devices. As the brain grows dependent on the technology, the research suggests, the intellect weakens. ... when people hear their phone ring but are unable to answer it, their blood pressure spikes, their pulse quickens, and their problem-solving skills decline. ... As the phone's proximity increased, brainpower decreased. ... Anticipating that information would be readily available in digital form seemed to reduce the mental effort that people made to remember it. ... people are all too quick to credit lies and half-truths spread through social media by Russian agents and other bad actors. If your phone has sapped your powers of discernment, you'll believe anything it tells you." On desktop devices people don't accidentally misclick on ads at anywhere near the rate they fat thumb ads on mobile devices. Desktop ad clicks convert to purchases. Mobile ad clicks convert to ad budget burned: "marketers are still seeing few shoppers purchasing on mobile. The 52% of share in traffic only has 26% share of revenue." For the central network operators almost all the above are precisely the exact opposite. If you look at raw stats without understanding the underlying impact, it is easy to believe the ecosystem is healthy. However the huge number of "no click" results are demonetizing easy publisher revenues, which have traditionally helped to fund more in-depth investigative reporting. Further, much of the direct navigation which happened in the past is now being passed through brand-related search result pages. You can argue that is an increase in search traffic, or you can argue it is shifting the roll of the address bar from navigation to search. Then if third parties go "well Google does this, so I should too" they are considered a low quality user experience and get a penalty. 31% ad coverage on mobile website is excessive / spam / low quality user experience for a publisher, while 301% coverage is reasonable for the central network operators. Google not only displaces the result set, but also leverages their search suggestion features & algorithmic influence to alter how people search & what they search for. Ads are getting integrated into mobile keyboards. And when a user finally reaches the publisher's website (provided they scroll past the ads, the AMP listings, and all the other scrape-n-displace trash) then when they finally land on a publication Google will overlay other recommended articles from other sites. That feature will eventually end up including ads in it, where publishers will get 0.00% of the revenue generated. Remember how Google suggested publishers should make their websites faster, remove ads, remove clutter, etc. What was the point of all that? To create free real estate for Google to insert a spam unit into your website? This wouldn't be bad if mobile were a small, fringe slice of traffic, but it is becoming the majority of traffic. And as mobile increases desktop traffic is shrinking. Even politically biased outlets that appear to be nearly perfectly optimized for a filter bubble that promotes identity politics struggle to make the numbers work: "As a result of continued decline in direct advertising, [Salon's] total revenue in the fiscal year 2017 decreased by 34% to $4.6 million. Following the market trend, 84% of our advertising revenue in fiscal year 2017 was generated by programmatic selling. ... [Monthly unique visitors to our website saw] a decrease of 23%. We attribute the decline primarily to the changes in the algorithms used by Facebook." we've heard complaints from users that if they click on a result and it's difficult to find the actual content, they aren't happy with the experience. Rather than scrolling down the page past a slew of ads, users want to see content right away. So sites that don't have much content"above-the-fold" can be affected by this change. If you click on a website and the part of the website you see first either doesn't have a lot of visible content above-the-fold or dedicates a large fraction of the site's initial screen real estate to ads, that's not a very good user experience. Such sites may not rank as highly going forward. As you scroll through it, you are then given travel ads for flight options through Google Flight search, hotels through Google Hotel search and restaurants through Google Local results. Then towards the bottom of the knowledge graph card, all the way at the end in a small grayish font, you have a link to "see web results." And amongst the good news for Expedia, there's also a bit of bad news for Expedia. The hotels are fighting Airbnb & OTAs. In travel Google is twice as big as the biggest OTA players. They keep eating more SERP real estate and adding more content behind tabs. On mobile they'll even disappear the concept of organic results. Room previews in the search results not only means that second tier players are worth a song, but even the new growth players propped up by aggressive ad buying eventually hit a wall and see their stock crash. As the entire ecosystem gets squeezed by middlemen and the market gets obfuscated with an incomplete selection it is ultimately consumers who lose: "Reservations made through Internet discount sites are almost always slated for our worst rooms." "For six years, his company has been locked in a campaign on three continents to get antitrust regulators to punish Google, Yelp's larger, richer and more politically connected competitor. ... Yelp concluded that there was no better way to get Google's attention than to raise the specter of regulation. ... something [Mark Mahaney] calls the Death of Free Google. As the internet has migrated to mobile phones, Google has compensated for the smaller screen space by filling it with so many ads that users can have a hard time finding a result that hasn't been paid for." In spite of how quick The New York Times was to dismiss Yelp, the monopoly platforms are stiffing competition & creativity while bundling fake reviews & junk features into their core platforms. People can literally switch their name to "Loop dee Loop"
and leave you terrible, fake reviews. Google's lack of effort & investment to clean up trash in their local services department highlights that they don't feel they need to compete on quality. Pay for core search distribution, throw an inferior service front & center, and win by default placement. As AI advancements make fake reviews look more legit Google's lack of investment in creating a quality ecosystem will increasingly harm both consumers and businesses. 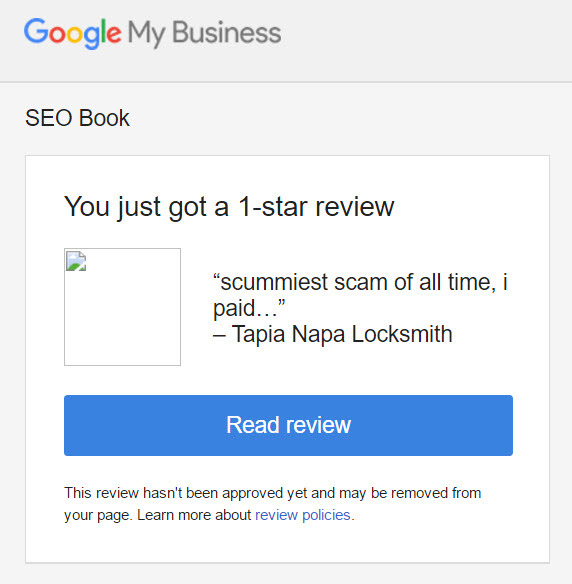 Many low margin businesses will go under simply because their Google reviews are full of inaccurate trash or a competitor decided to hijack their business listing or list their business as closed. Yelp said it investigated and found that over one hour, Google pulled images from Yelp's servers nearly 386,000 times for business listings in Google Maps, which Google exempted from its promise to not scrape content. Yelp then searched Google for 150 of the businesses from those map listings and found that for 110 of them, Google used a Yelp photo as the lead image in the businesses' listings in search results. Stealing content & wrapping it in fake reviews is NOT putting the user first. Facebook has their own matching parallel shifts. The aggregate quality of mobile ad clicks is quite low. So as mobile becomes a much higher percent of total ad clicks, those who don't have scale and narrative control are reduced to taking whatever they can get. And mainstream media outlets are reduced to writing puff pieces so the brands they cover will pay to promote the stories on the main channels. As programmatic advertising, ad blockers, unpatched Android-powered botnets & malware spread each day gets a little uglier for everyone but the central market operators. It is so bad that some of the central market operators offer surveillance apps which claim to protect user privacy! Other app makers not connected to monopoly profit streams monetize any way they can. The narrative of growth can be sold (we are launching a new food channel, we are investing in our internal video team, we have exclusive real estate listings, and, um, we acquired a food channel) but the competition is a zero sum game with Google & Facebook eating off the publisher's plates. That's why Time is trying to shave $400 million off their expenses & wants to sell their magazine division. Newspaper companies are selling for $1. It is also why Business Insider is no longer chasing growth & the New York Times is setting up a charitable trust. The rise of ad blocking only accelerates the underlying desperation. click through rate from Google search went from 5.9% (Regular) to 10.3% (AMP), and average search position went from 5.9 (Regular) to 1.7 (AMP). Since then, we have deployed AMP across fifteen of our brands and we have been very pleased with the results. Today, AMP accounts for 79% of our mobile search traffic and 36% of our total mobile visits. the only voices promoting AMP's performance benefits are coming from inside Google. ... given how AMP pages are privileged in Google's search results, the net effect of the team's hard, earnest work comes across as a corporate-backed attempt to rewrite HTML in Google's image. Even if you get a slight uptick in traffic from AMP, it will lead to lower quality user engagement as users are browsing across websites rather than within websites. Getting a bit more traffic but 59% fewer leads is a fail. No amount of collaborative publisher partnerships, begging for anti-trust exemptions, or whining about Google is going to fix the problem. "The only way publishers can address this inexorable threat is by banding together. If they open a unified front to negotiate with Google and Facebook-pushing for stronger intellectual-property protections, better support for subscription models and a fair share of revenue and data-they could build a more sustainable future for the news business. But antitrust laws make such coordination perilous. These laws, intended to prevent monopolies, are having the unintended effect of preserving and protecting Google and Facebook's dominant position." Wasn't it the New York Times which claimed Yelp was holding an arbitrary grudge against Google? newspapers that once delivered their journalism with their own trucks increasingly have to rely on these big online platforms to get their articles in front of people, fighting for attention alongside fake news, websites that lift their content, and cat videos. In unrelated news, there's another round of layoffs coming at the New York Times. And the New York Times is also setting up a nonprofit division to expand journalism while their core company focuses on something else. Apparently Yelp does not qualify as a publisher in this instance. The Times is backing the move for what is called an anticompetitive safe haven, in part, Mr. Thompson said, "because we care about the whole of journalism as well as about The New York Times." Ah, whole of journalism, which, apparently, no longer includes local business coverage. You know the slogan: "news isn't news, unless it isn't local." The struggles are all across the media landscape. The new Boston Globe CEO lasted a half-year. The San Diego Union-Tribune resorted to using GoFundMe. The Chicago Sun-Times sold for $1. Moody's issued a negative outlook for the US newspaper sector. As the industry declines the biggest players view consolidation as the only solution. In the fourth quarter, the reduction in marketing that occurred was almost all in the digital space. And what it reflected was a choice to cut spending from a digital standpoint where it was ineffective: where either we were serving bots as opposed to human beings, or where the placement of ads was not facilitating the equity of our brands. Google & Facebook are extending their grip on the industry with Google launching topical feeds & Facebook wanting to control subscription management. The initiative, dubbed Reporters and Data and Robots (RADAR), will see a team of five journalists work with Natural Language Generation software to produce over 30,000 pieces of content for local media each month. Hopefully editors catch the subtle errors the bots make, because most of them will not be this obvious & stupid. In a show of strength last year, Microsoft used thousands of these chips at once to translate all of English Wikipedia into Spanish-3 billion words across five million articles-in less than a tenth of a second. Next Microsoft will let its cloud customers use these chips to speed up their own AI tasks. Voice search makes it even easier to extract the rewards without paying publishers. Throwing pennies at journalists does nothing to change this. And that voice shift is happening fast: "By 2020 half of search will be via voice"
If Google is subsidizing robotic journalism they are thus legitimizing robotic journalism. As big publishers employ the tactic, Google ranks it. It is almost impossible to compete economically with an entity that rewrites your work & has zero marginal cost of production. YouTube has perhaps the worst comments on the web. Some mainstream news sites got rid of comments because they couldn't justify the cost of policing them. That in turn shifts the audience & attention stream to sites like Facebook & Twitter. Some news sites which are still leaving comments enabled rely on a Google filter, a technology Google can use on YouTube as they see fit. Any plugins publishers use to lower their costs can later disappear. It looked like FindTheBest was doing well financially, but when it was acquired many news sites quickly found out the cost of free as they now have thousands of broken articles in their archives: "Last month, Graphiq announced that features for news publishers would no longer be available after Friday." "Between fast-loading AMP articles from major news brands hosted in its domain, full pages of information scraped from outside sites that don't require you to visit them, basic shopping functions built into ads, YouTube, and a host of other features, the Google-verse is more of a digital walled garden than ever. ... If Google continues to choke these sites out, what incentive will there be for new ones to come along?" That Apple does extra work to undo AMP says a lot. Those who think the central network operators are naive to the power structure being promoted by the faux solutions are either chasing short-term goals or are incredibly masochistic. Arbitraging brand is the core business model of the attention merchant monopoly. we've found out that 98% of our business was coming from 22 words. So, wait, we're buying 3,200 words and 98% of the business is coming from 22 words. What are the 22 words? And they said, well, it's the word Restoration Hardware and the 21 ways to spell it wrong, okay? Publishers buying the "speed" narrative are failing themselves. The Guardian has 11 people working on AMP integration. And what is Google doing about speed? Google shut down Google Instant search results, often displays a screen or two full of ads which mobile users have to scroll past to find the organic search results AND is testing auto-playing videos in the search results. Facebook is also promoting fast loading & mobile-friendly pages. To keep bleeding clicks out of the "organic" ecosystem they don't even need to have explicit malicious intent. They can run a thousand different tests every month (new vertical sitelink formats, swipable sitelinks, showing 8 sitelinks on tiny mobile devices, MOAR sitelinks, message extensions, extensions on call-only ads, price discount labels, frame 3rd party content inline, dramatically ramp up featured snippets +QnA listings, more related searches, more features in ad units, larger ad units, ad units that replace websites & charge advertisers for sending clicks from Google to Google, launch a meta-search service where they over-promote select listings, test dropping URLs from listings, put ads in the local pack, change color of source links or other elements, pop ups of search results inside search results, etc.) & keep moving toward whatever layout drives more ad clicks, keeps users on Google longer & forces businesses to buy ads for exposure, claiming they are optimizing the user experience the whole time. They can hard-code any data type or feature, price it at free to de-fund adjacent businesses, consolidate market power, then increase rents after they have a monopoly position in the adjacent market. And they can fund research on how to remove watermarks from images. Why not make hosting free, get people to publish into a proprietary format & try to shift news reading onto the Google app. With enough attention & market coverage they can further extort publishers into accepting perpetually worse deals. And free analytics & business plugins which are widely adopted can have key features get pushed into the paid version. Just look at Google Analytics - its free or $150,000+/yr. shows it near other third party images framed by Google. How about some visually striking, yet irrelevant listings for competing brands on branded searches to force the brand ad buy. And, of course rounded card corners to eat a few more pixels, along with faint ad labeling on ads coupled with vibrant colored dots on the organic results to confuse end users into thinking the organic results are the ads. While Google turns their search results into an adspam farm, they invite you to test showing fewer ads on your site to improve user experience. Google knows best - let them automate your ad load & ad placement. What is the real risk of AI? Bias. And how does Google justify their AI investments? Through driving incremental ad clicks: "The DeepMind founders understand that their power within [Alphabet], and their ability to get their way with [Alphabet CEO] Larry Page, depends on how many eyeballs and clicks and ad dollars they can claim to be driving"
No bias at all there! SEOs who were overly reliant on the search channel were the first to notice all the above sorts of change, as it is their job to be hyper-aware of ecosystem shifts. But publishers far removed from SEO who never focused on SEO are now writing about the trends SEOs were writing about nearly a decade ago. Josh Marshall recently covered Google's awesome monopoly powers. So let's go down the list: 1) The system for running ads, 2) the top purchaser of ads, 3) the most pervasive audience data service, 4) all search, 5) our email. ... But wait, there's more! 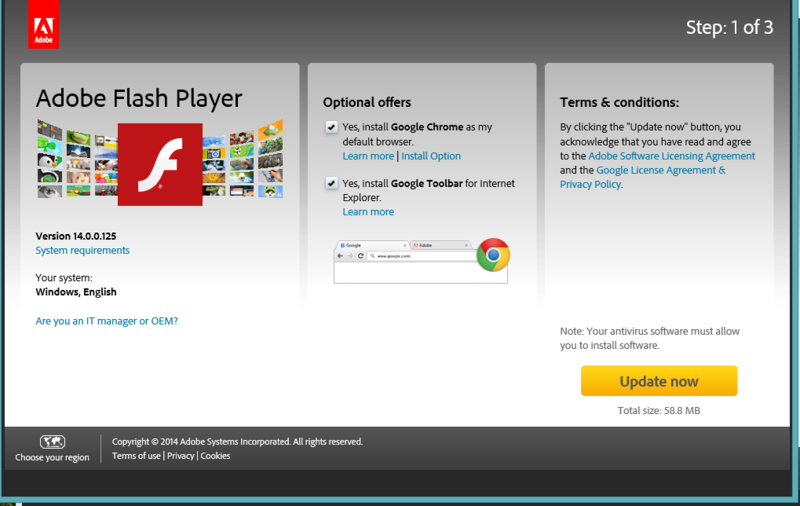 Google also owns Chrome, the most used browser for visiting TPM. In many cases, alternatives don't exist because no business can get a footing with a product Google lets people use for free. Because we were forwarding to ourselves spam that other people sent to us, Google decided that the owner of the TPM url was a major spammer and blocked emails from TPM from being sent to anyone. If the above comes across as depressing, don't worry. The search results now contain a depression diagnostic testing tool.